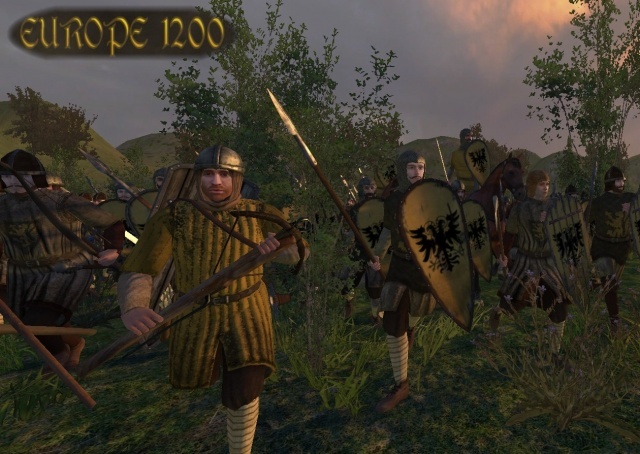 Comments Off on Europe 1200 Beta 3 Out Now! Posted by David Geraghty on Feb 3, 2011 | Comments Off on Europe 1200 Beta 3 Out Now! This mod was a favourite of ours when it was on the original Mount & Blade though we never found time to review it since we started Mod Sentry. However we do have a very old review by me done on an older iteration on Mod Sentry back in 2009 linked here. As you can tell I was already smitten by the mod at this point. It was my all time favourite mod for the original Mount & Blade and now I can enjoy it on Warband. While not being finished and still featuring vast empty areas of land they are slowly but surely building one of the biggest Europe mods I’ve ever seen. In this update we get four entirely new historically accurate factions. The Kingdom of Sweden, the Republic of Pisa, the Republic of Genoa and the Holy Roman Empire. That’s right, we now have the Holy Roman Empire (a very significant nation in 1200). There are also five new quests for your party to embark on and several other new features to enhance your gameplay. You can check out the ModDB page here and have a look at their forum section here.